What occurs on a shadow day? 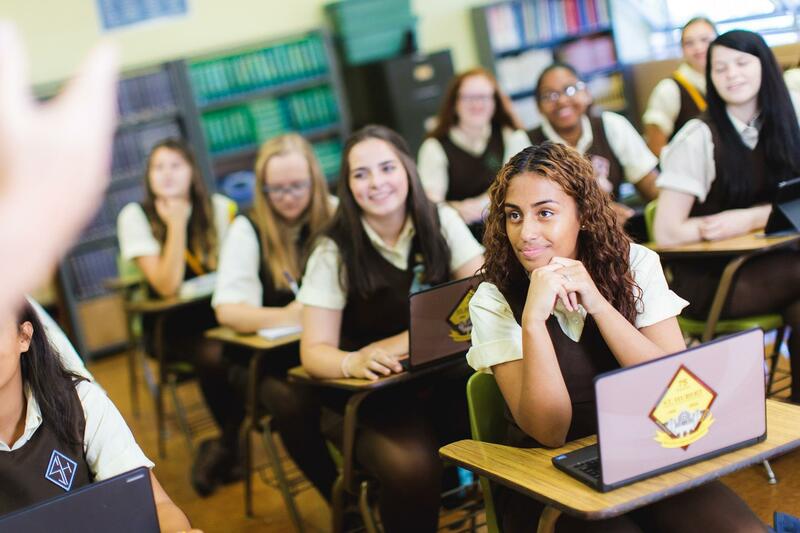 During a shadow day, you will experience what a typical school day at St. Hubert is like. You will "shadow" your host throughout her day of classes and get a feel for the academic and social aspects of St. Hubert. By spending the day here, you will truly see why St. Hubert is the best place to be! Who can shadow at St. Hubert? We welcome all interested seventh graders, eighth graders, and transfer students to participate in our Shadow Program. Who will I shadow during my visit to St. Hubert? Our goal is to help you have the best day possible. Your host for the day will be a student who has similar interests and academic standards as you. Who will notify my school? Please make sure your parents or guardian inform your school that you are spending a full day at St. Hubert! You will receive an email confirmation that you are able to send to your child's school. Please enter through to the main office by using the Torresdale Avenue entrance no later then 8:00 am. You will be met by the Director of Admissions. Your school day will end at 2:30 pm. Please arrange for pick up at the main office at the conclusion of the school day. You do not need to bring anything with you for the day. St. Hubert will provide you with a Shadow Packet, as well as a lunch voucher. You can bring a few extra dollars just in case our school store is open! Is a shadow day important? Yes! The shadowing program is a unique opportunity for you to experience a typical school day as a St. Hubert Bambie. You go to the same classes and assemblies as your student guide, so you experience first-hand what it is like to be a student at St. Hubert. It's very important that you get to feel first hand what everyday life is like for a Bambie. How many shadows do you have per day? Shadow days are limited to SIX students per day. Once we receive six requests for a given day, that day will close to any other shadow students. We are sorry for the inconvenience, it's important that we do not overcrowd our classrooms. Thank you for understanding.